Home / Doodle / Games / Google / Web / Google's 15th Year Anniversary Doodle Game - Whack a Candy-filled Star Piñata! Google's 15th Year Anniversary Doodle Game - Whack a Candy-filled Star Piñata! 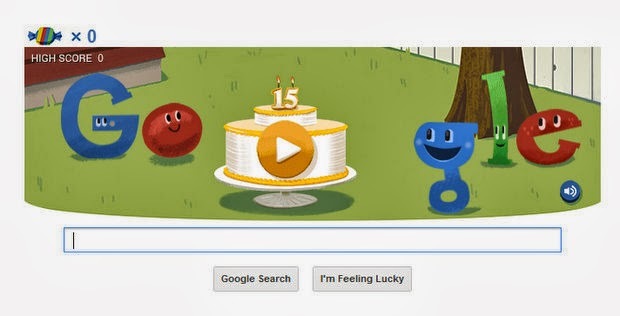 Today, Google celebrates its 15th year anniversary with an interactive doodle game. To play, collect as much candies as you can by whacking the Google-themed, candy-filled star piñata using the spacebar key (you can also use the mouse if you want). You will be given 10 attempts per game. Have you already played it? What was your highest score? So far, mine's 145! I know you can do better than this. ;) Someone I know got 165.